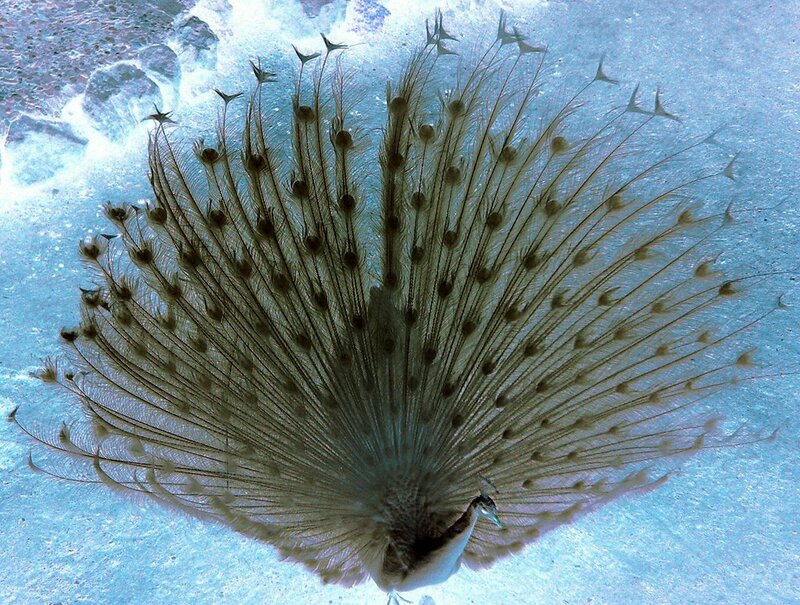 No, there's no ice in Barcelona Zoo, though the peacock originally was white as snow, which makes it an ideal subject for image inversion. You should not leave the city, specially if you travel with kids, without visiting Parc Zoologic de Barcelona where a great variety of animals can be seen in a reproduction of their natural environment. There is a restaurant here where you can eat outside with this wonders walking around trying to steal food from you. It's very funny, it's a open park. This looks really cool. Didn't see that the image was inversed before I read the description. Nice effect! well done carlos! I see that Bob now has competition AND from the same city! Both Barcelona photo blogs are my must-see everyday!